The future in director Neill Blomkamp’s “Chappie” is violent and unforgiving, to the extent that law enforcement has been designated to intelligent robots to restore balance. Blomkamp, director of "District 9" and "Elysium", builds worlds polluted with injustice and styled with dazzling visual effects against the backdrop of distressed communities. It’s a vivid design that is all the more interesting when Blomkamp thrusts vicious characters and gruesome violence into the mix. 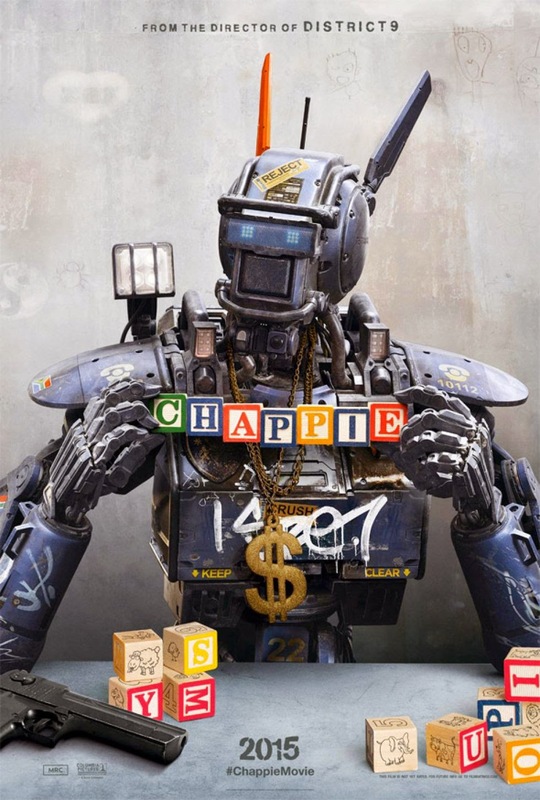 “Chappie” has many of these similar qualities including an endearing robot voiced by Blomkamp regular Sharlto Copley; unfortunately the film also incorporates a terribly uneven script and two questionable lead performances that lack the emotional touches that elevated his previous films. Deon (Dav Patel) is an engineer for a large conglomerate; he is responsible for the creation of robots, known as Scouts, which have assisted in lowering the crime rate in a future South Africa. Deon continues to work on the intelligence program of the Scouts and after some all night tinkering discovers the code for giving the robots the highest level of artificial intelligence. However, his boss (Sigourney Weaver) disregards the idea forcing Deon to steal a decommissioned robot. Deon is targeted by two degenerate thieves, a couple known as Ninja and Yo-Lindi, who kidnap and force him to fix the stolen Scout, which they name Chappie, to assist in an upcoming heist. Blomkamp introduces the film nicely; building a world that displays the desperation and ruthless mentality of society but also the influence that evolving technology has played in his films thus far. The visual effects are impressive, as usual for a Blomkamp film, with the Scouts being wonderfully articulated into scenes of explosive action and human interaction. Perhaps too much emphasis was taken in this specific regard because unfortunately the narrative wasn’t given the same polish as the effects. Once Chappie becomes self-aware the learning becomes unrestrained but the influence of the people around him, namely Ninja and Yo-Lindi, hold stronger power over learned behaviors. It’s thought provoking at it’s best with the theme of acceptance playing an important role. Chappie refers to Ninja and Yo-Lindi as Daddy and Mommy while Deon is referenced as Maker. Ninja, a manipulative gun-toting thief, teaches Chappie how to act tough while Yo-Lindi, a sweet and sensitive opposite to Ninja, reads bedtime stories and consistently looks out for Chappie’s well being. It’s a connection for Chappie to a familial relationship. Deon being called Maker attributes the religious subject matter bringing more interesting ideas into the mix. Unfortunately these themes are mentioned in a passing gesture, they never fully connect or expand on the content it proposes. An aspect that could have assisted the lapses in the narrative was the choice of actors playing Chappie’s influential guides. While Blomkamp may have been attempting to reflect a more authentic relationship here, the decision to cast the musical team behind the group Die Antwoord, Ninja and Yo-Lindi using the same name, is simply a poor choice for leading roles. Many of the emotional touches are missed or feel awkwardly forced. Dav Patel is good early on but is relinquished to a supporting role for a large part of the finale. Hugh Jackman plays a spiteful villain with ease but even his role and star power is overshadowed by the emphasis to place Ninja and Yo-Lindi in the spotlight. Neill Blomkamp is only three films into his early career so it’s promising that the weaknesses in character and narrative development displayed in his films thus far will get better with future efforts and reflect the strengths of his bold ideas and impressive visual style. 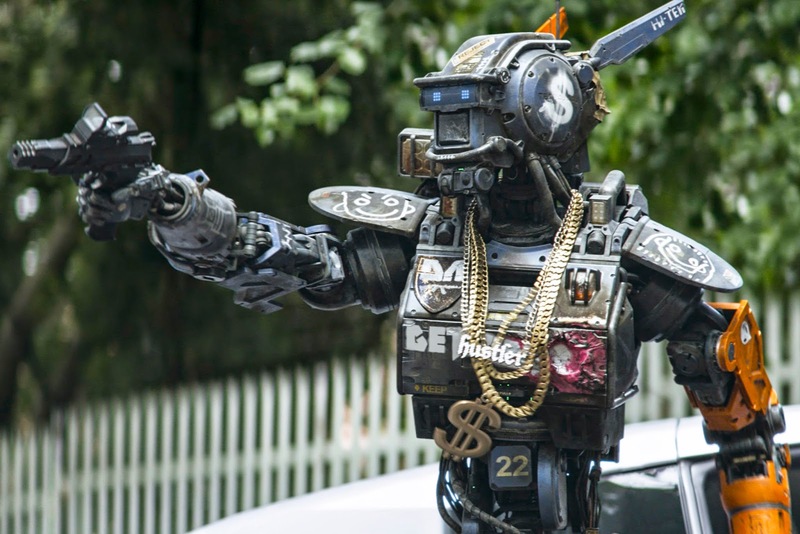 While “Chappie” may propose interesting avenues the film fails to find the right direction to take.